Due to a change in Google's Policy, part of this post has been removed. 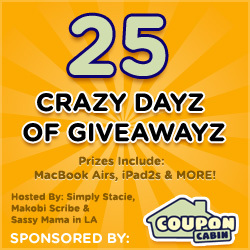 Welcome to CouponCabin’s 25 Crazy Dayz of Giveawayz! 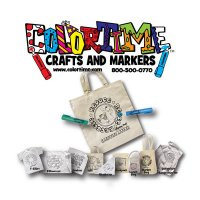 This multi-blog event is hosted by Simply Stacie, Makobi Scribe and Sassy Mama in LA and is sponsored by CouponCabin. This is the biggest event the blogosphere has seen with over 400 giveaways each at $25 value or more plus a huge giveaway with some major prizes like a MacBook Air, iPad2 and Visa Gift Cards. You can find all the giveaways from the participating blogs by visiting the host blogs, Simply Stacie, Makobi Scribe and Sassy Mama in LA. Each host blog will feature a different set of giveaways for you to enter! No matter what type of coupon you're looking for, you'll find it and over 100,000 others at CouponCabin.com, a leading destination for coupon codes, printable coupons, deals and more. Now with a new and improved grocery coupons section and the largest selection of coupon codes that are guaranteed to work, CouponCabin is the best place to start your search for savings. This holiday season, CouponCabin is dedicated to making holiday savings as easy as pie by bringing you the best deals for Black Friday and Cyber Monday. You can also download our CouponDetector and we'll let you know when the site you’re shopping has coupons and deals available. Never pay full price again with help from CouponCabin.com! 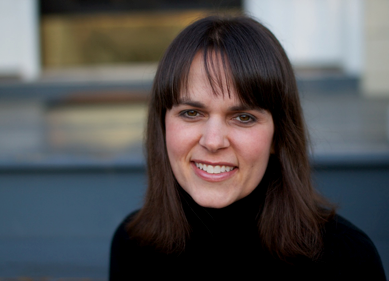 Please visit Simply Stacie, Makobi Scribe and Sassy Mama in LA to enter the giveaway and make sure to say Sarah's Blog Of Fun referred you! You can enter on all three sites or just one- it’s up to you! If you enter all three giveaways that just means more chances for you to win. Check out the awesome giveaway sponsors I have for this event. You can win over $240 in prizes!! There will be 3 winners!! 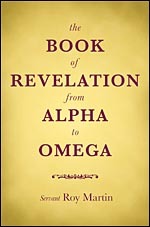 ($25.99) Roy Martin is donating a copy of his book The Book Of Revelation from Alpha to Omega!! 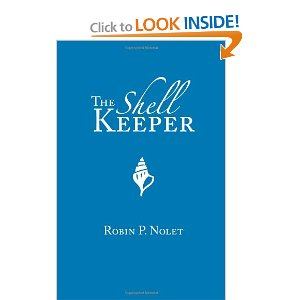 I was sent a copy too and I can't wait to read it. 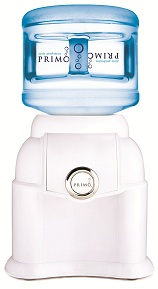 ($34.99) Primo Water is donating a Portable Bottled Water Dispenser!! 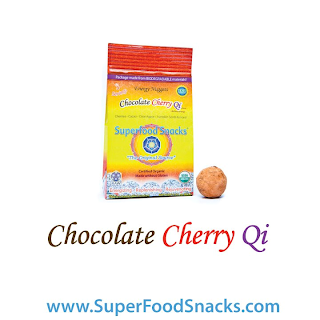 This is perfect for camping or tailgate parties along with having it at home on your counter. No electricity required!! ($13.95) Ashers Chocolates is donating a box of their Chocolate smothered pretzels!! I got to try some of their chocolate (review coming soon) and oh boy are they good!! That is over $250 in prizes to three winners!! 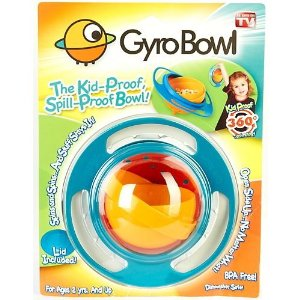 1st Place Winner gets Clean and Green Fabric Refresher, Gyro Bowl, The Book Of Revelation, The Shell Keeper Book, Primo Water Dispenser, Super Foods Snacks, A Copy of Rescued By A Rake, the Pearl Bracelet and Ashers Chocolates. Enter with the rafflecopter form below, and then check out all the other awesome giveaways!! Who doesn't want or need more followers?? This is my thirty second week with a Linky hop, and so far so good!!! I am meeting a lot of great bloggers!! The winners have been emailed and have 48 hours to respond!! I always use Random.org or Rafflecopter to pick the winners. 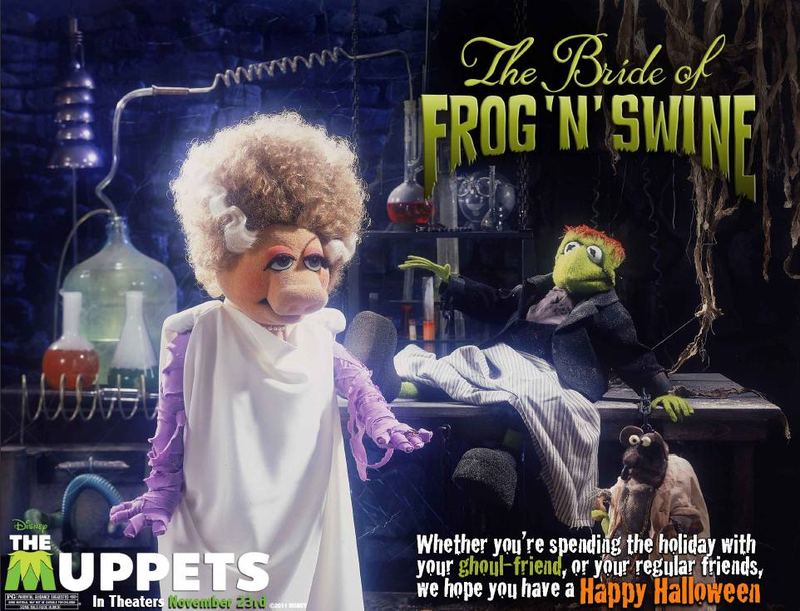 Happy Halloween From The Muppets!! Here is a horror story that will have you all shaking in your boots. This past Thursday, I got the pleasure of bringing my van into the dealership to get the doors fixed. I have power sliders and they had a recall. I dropped the car off, and got to drive around in a luxury car for the rest of the day. I had a lot of errands to run, so I did not have any time to get some much needed work done. My car was in the shop for 8 hours, but I got it back!! Then Friday came!! I woke up, got the kids up and fed to bring Ben to school. Went out to start my car, and my sliders would not open. Now for anyone who has a minivan, when your sliders don't open you have to lift the kids over the front seat. That is not fun. I got the kids in the car, and tried to shut my front passenger door. It wouldn't shut. We were already running late, so I had to drive the van draped over the front seat holding the door closed. Scary and not fun!! When I got back to my house, one of the sliders finally opened so I didn't have to lug Doug out the front again, but of course the door wouldn't close!! I pulled and shoved and kicked and punched the door and it wouldn't move. Now here is where things get worse. Friday Ben Jr had a half day of school (out at 11:30,) Ben Sr had training that he had to go to, my parents cars were both in the shop with no brakes, and my Sisters car was in the shop for a flat tire and a recall. Oh and the car dealership is 45 minutes away. I had a couple options, but non were great. How we figured things out still blows my mind. Ben Sr (before heading to training) went and picked up Ben Jr at 10:30 instead of 11:30) and brought Ben and Doug to my Mom to watch. I called roadside assistance and had a tow truck come out to get my car. My Sister got a ride over to my house so she could ride with me in the tow truck. Then we waited, and waited. It took the tow truck two and a half hours to get to me. When he arrived, we found that instead of a bench seat, he had two single seats. My sister and I had to share a seat. She sat on the door frame, and I sat wrapped around the trucks gear shift. Very uncomfortable but it was only supposed to be a 45 minute drive. We would survive. Ha ha nope!! The drive turned into 2 1/2 hours because of road construction. When we arrived at the dealership, we could barely move but we made ourselves do so, so we could get away from scary tow guy. The dealership brought my car in, and had it fixed with in an hour. It was some sort of broken wire. We went home and nursed our bruises. I have a very sore left shoulder (from holding my weight up in the car, and a sore left knee from bracing around the gear shift. My sister has a huge bruise/welt on her rear end from sitting on the window crank on the door!!!! Saturday started out well. I got up and drove to work. Now I listen to the news and radio, so I had heard that we were going to get a Nor-Easter, but I, like many others, could not believe it. It's October. We don't usually get snow, let alone a lot of snow, until December/January. So my goal, just to be safe, was to hurry through the day and get home before it started (5pm we were told) Mid way through my route (1pm) the snow started. It was light at first, and then all hell broke loose. It became white out conditions. The rest of my route, which should have only taken me an hour, took three to do. Then I had to drive home. That was over 2 hours (instead of 1) I did make it safely home, and got to rest. I was physically and mentally wiped at this point. It had been a hard couple days. Time to get worse!!! Ben and I put the kids to bed and we went to ours. At 1:30am our power went out. We sleep with fans going for noise, and so do the kids, so of course we are now all wide awake. After some coxing, we got the boys back to sleep, but I couldn't. I just layed there till 6am. I went downstairs and tried to call my parents. They work 3rd shift in their cars and I wanted to make sure they made it home ok. I had no home phone (because of power being out) and I also had no cell service either. I (still hurting from Friday) went and shoveled the almost 2 feet of snow out of the driveway so I could drive over and see if my parents were ok. I made it over there (after fighting downed trees) to find out they never even went to work, and that they had power and heat!!!! So I started the trek home. I knew the boys would be hungry and I was dieing for coffee, so I stopped at the only place open, McDonald's, and waited 45 minutes for my food and coffee. When I finally made it to the window, a big chunk of ice fell off their roof and cracked my windshield. Ahhhhh!! I just got my car out of the shop!!! I got back to my house, helped Ben finish shoveling and then we went to my parents. I went back to the house once during the day to see if power came back on, but it didn't. The fridge was starting to get warm, so I had to throw out a lot of food, and what I could save I gave to my parents. One hour later, we went back home for the night, and had power back!!! Of course it was still too late for my food, but we at least had heat again. As I woke up this morning, I knew I was going to be sore. On top of all the tow truck pain, my right side is now in agony from shoveling. I am extremely far behind on work, schools are closed so I have two kids at home, plus trick or treating later. I need four more sets of hands!!! Ahhhh!! All in all, these last four days were some of the worst I have ever dealt with. I needed to share so that you all can feel better if you have a bad day or two too!! A Man was walking home late one night when he hears a bump..bump..bump behind him. Walking faster, he looks back and sees a coffin banging it's way down the street towards him. He quickly picks up speed, but the coffin keeps up. 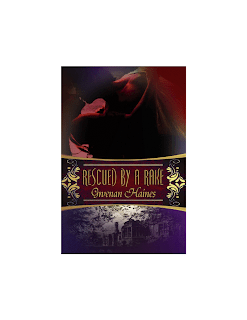 The man reaches his house and bolts the door, but the coffin crashes through it. The man is sooo scared that he runs and locks himself in his bathroom. Chris Cross, a tourist in Vienna, is going passed Vienna's Zentralfriedhof graveyard on October 31st. All of a sudden he hears some music. No one is around, so he starts searching for the source. Chris finally locates the origin and finds it is coming from a grave with a headstone that reads: Ludwig van Beethoven, 1770-1827. Then he realizes that the music is the Ninth Symphony and it is being played backward! Puzzled, he leaves the graveyard and persuades Tim Burr, a friend, to return with him. By the time they arrive back at the grave, the music has changed. This time it is the Seventh Symphony, but like the previous piece, it is being played backward. Curious, the men agree to consult a music scholar. When they return with the expert, the Fifth Symphony is playing, again backward. The expert notices that the symphonies are being played in the reverse order in which they were composed, the 9th, then the 7th, then the 5th. By the next day the word has spread and a throng has gathered around the grave. They are all listening to the Second Symphony being played backward. Just then the graveyard's caretaker ambles up to the group. Someone in the crowd asks him if he has an explanation for the music. And that's what you eat when you are dead. How did you decide on what to name your blog? I was having a hard time with it. I asked a few bloggy friends and got some great ideas. Arizona Mama was suggested by Anna from The Baby Store Plus and I liked it immediately. Its simple and really identifies that I am in Arizona and I am a mom. Tell us a little bit about you.... I am a mom to an almost 3 and a half year old boy. I started my family a little later in my 30's. My wonderful husband is 8 years older than me and he has a daughter that will be 24 soon. We are currently TTC our second together. I work fulltime in a Head Start Program. Currently I am a curriculum training specialist and I train the teachers and mentor them. I was a Head Start teacher in the classroom for over 10 years. When and why did you start blogging? I started blogging just under 2 years ago. I honestly started because I was reading blogs and entering giveaways. I wanted to get all those great extra entries for having the buttons and blogging. I also wanted to keep kind of a live journal of my son's life. I have been really bad about not writing in the baby book so I guess my blog is kind of pieces for the baby book. What do you blog about? 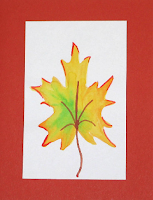 I blog about my life with my son. I also do many product reviews and giveaways. 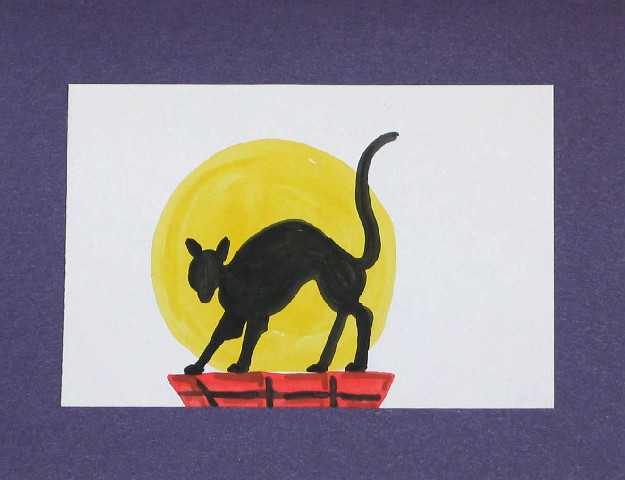 What does your family think of your blog? Do they read it? Most like the idea. My mom reads it and even stared entering giveaways. My husband reads it when its a personal post. I know my brother in law and my aunt have looked at it, but not sure how much they read it. When do you find the time to blog? 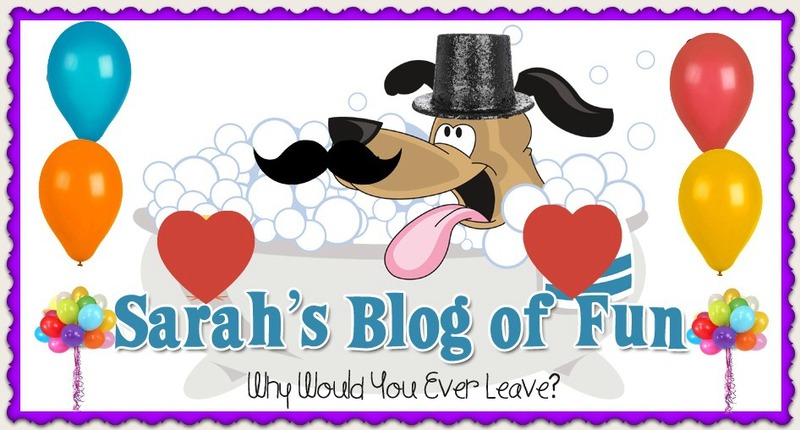 I blog in the evenings while I should be sleeping.. lol! And nap time on the weekends. Is It Time For Another Muppet Parody? 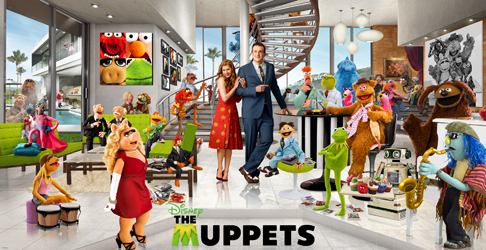 On vacation in Los Angeles, Walter, the world's biggest Muppet fan, his brother Gary (Jason Segel) and Gary’s girlfriend Mary (Amy Adams) from Smalltown, USA, discover the nefarious plan of oilman Tex Richman (Chris Cooper) to raze the Muppet Theater and drill for the oil recently discovered beneath the Muppets' former stomping grounds. To stage a telethon and raise the $10 million needed to save the theater, Walter, Mary and Gary help Kermit reunite the Muppets, who have all gone their separate ways: Fozzie now performs with a Reno casino tribute band called the Moopets, Miss Piggy is a plus-size fashion editor at Vogue Paris, Animal is in a Santa Barbara clinic for anger management, and Gonzo is a high-powered plumbing magnate. With signature celebrity cameos, Disney’s “The Muppets” hits the big screen Nov. 23, 2011. Honoring the Muppet tradition, celebrity cameos include, among others, Donald Glover, Leslie Feist, Alan Arkin, Kristen Schaal, Eddie “Piolín” Sotelo, Ken Jeong, James Carville, Rico Rodriguez and Judd Hirsh. Disney’s “The Muppets” is directed by James Bobin, who co-created HBO’s “Flight of the Conchords," which he wrote, directed and exec produced. Bret McKenzie, who created, co-wrote, executive produced and starred in the hit HBO television series “Flight of the Conchords,” is the music supervisor for Disney’s “The Muppets,” as well as the writer/producer of three original songs, which include big Muppet-style opening and closing numbers. It’s been 12 years since theMuppets’ last big-screen feature film (“Muppets from Space,” 1999). When Walter, the world's biggest Muppet fan, his brother Gary (Jason Segel) and Gary’s girlfriend Mary (Amy Adams) discover the nefarious plan of oilman Tex Richman (Chris Cooper) to raze the Muppet Theater, they help Kermit reunite the Muppets to stage a telethon and raise the $10 million needed to save the theater. Christine is really good at winning. I hope she makes it back!! I can't blame the team for being nervous about Brandon. He is a wild card!! The redemption challenge is tough. You take the planks off a crate, make a bridge and then solve a puzzle. Christine and Mikayla are neck and neck, but Christine pulls it off again!! 5 wins in a row. Wow. Ozzy made a weird comment. I wonder what he is thinking when he says we should send someone to redemption that can beat Christine. I can't believe that Ozzy would volunteer to go to redemption to try to get rid of Christine. That is just nuts. Coach is such a liar. I don't agree with what him and Sophie did with the "God helped us" approach. That's weird and to me wrong. The war paint was interesting!! Brandon painted on a bra!! This is funny watching the blind folded teams crash into things!! So far they aren't doing badly trying to get to the masks to make matches. The prize is awesome. I wouldn't mind seeing the movie and eating junk food. Red team is having a lot of trouble getting the ropes untied. They lost a lot of time. Cochran made a huge mistake with those ropes. He really hurt their team. Ozzy is taking it rough!! The blue team is heading to the movies!! Those hot dogs and candy look yummy. I am really hungry!! That is so funny that the red team is trying to make Cochran feel like going to redemption is great!! I can't believe that Ozzy is going to send himself to redemption. Wow. They are all expecting there to be a merge. You never know when that is going to happen. I wouldn't bank on that. I don't know what to think of Ozzy. Is he smart or the biggest idiot around? Now Ozzy gave Cochran the idol, but he isn't using it. If all the tribe vote for Cochran, he is still leaving. That was by far the weirdest move I have ever seen. On that note, I need to say goodbye to Sam Buck. Thank you for playing. 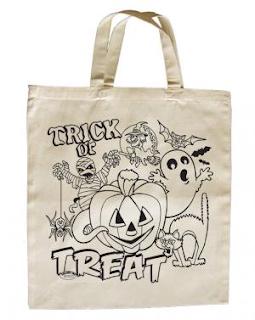 Welcome to the Trick or Treat Halloween Hop hosted by Tales From the Nursery, Formula Mom, and Mama on a Green Misson, where you will go trick-or-treating virtually at each blog for a chance to win some totally ghoul prizes. Will they have tricks or will they have treats? You must click through the linky to find out! I am very excited to be involved in this hop!! I have a couple great sponsors, and I am throwing in some stuff myself!!! Check out my awesome giveaway, and then hop to all the others!!! 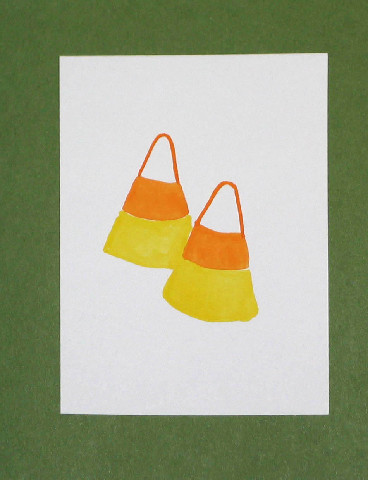 SG Designs, by Stephanie is donating a beautiful set of Handmade Water Color Halloween Cards!! I think these are gorgeous. They are blank inside, so you can write whatever you would like!! 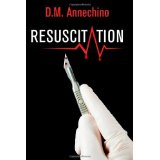 Wunderkind PR is donating a copy of Resuscitation by D.M Annechino!! Of course, what's a hop without me throwing in something!!! I have a mystery box of fun (hehe!) 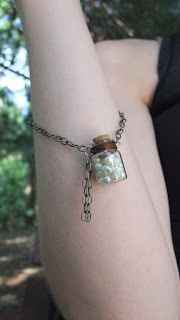 that will be given to the lucky winner as well!! You never know what you are going to get!!! Have a great weekend everyone!! I hope you have your costumes ready!!! 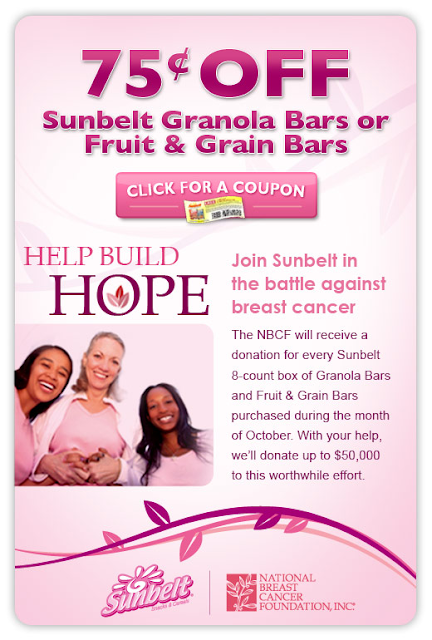 Sunbelt Snacks-Helping to Fight Breast Cancer And A Coupon!! 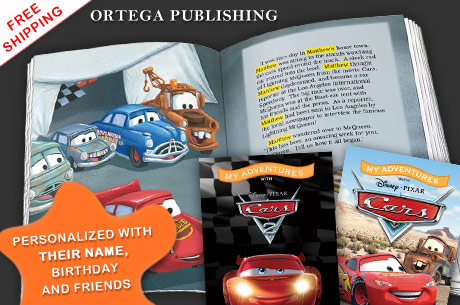 Worcester Eversave- Personalized Disney Story Books!! This is such a great deal, I couldn't not post about it!!! Hurry though, it ends tomorrow!! •Place orders before 11/30 to ensure holiday delivery! 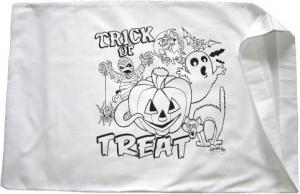 Plus don't forget to take an aditional $5 off by using code SPOOKY!! Have You Got Your Costume Yet? 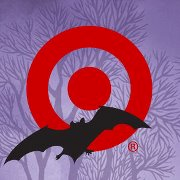 If you are a last minute shopper (like I am,) there is still time to get those Halloween costumes with HalloweenCostumes.com!! 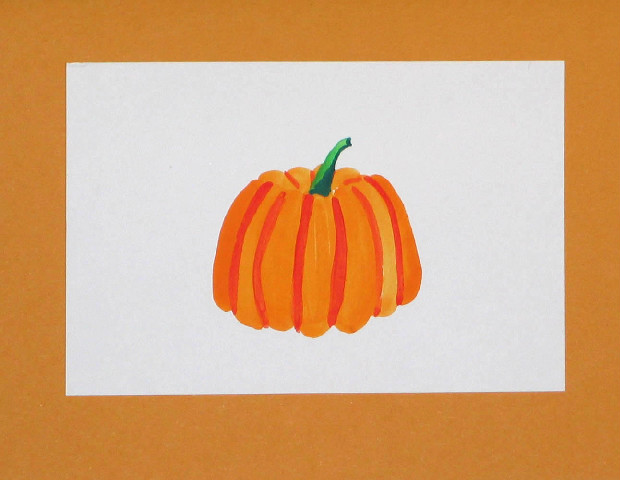 Shipping is only $9.99 and guarenteed Halloween delivery. Not bad for this late!!! Head over and take a look at the great selection left, and then read some interesting facts thanks to them below!! Who doesn't want or need more followers?? This is my thirty first week with a Linky hop, and so far so good!!! I am meeting a lot of great bloggers! !